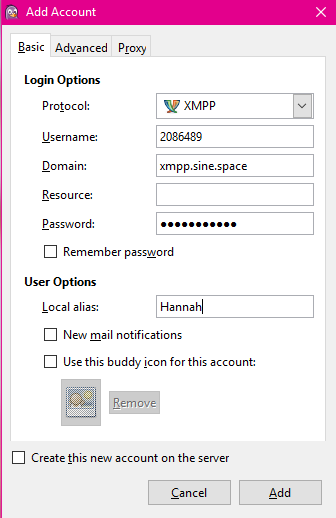 One of spaces' new features is the ability to use XMPP clients in conjunction with the normal space chat. You can use XMPP clients to chat to other users through the in world space chat window, and they can reply back either using a XMPP client or using the normal space chat. Any XMPP client is fine to use, but for this walkthrough, I'm using Pidgin. Download and install the client you want to use, and then follow the next steps to get it set up for use with space. 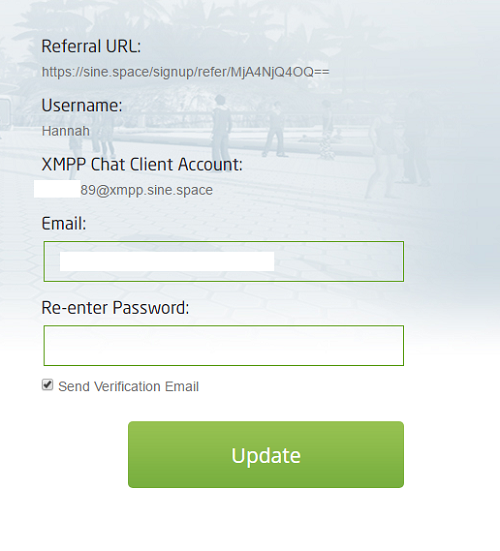 To use the xmpp client, you will need a specific ID which is linked to your space account. To find this ID, you will need to go to sine.space and log in using your details. After you have logged in, click on 'Account' at the top of the page. On this page, you will see your information, and also see the XMPP client ID. Make sure to note this ID somewhere. Open your XMPP client, and you will see something similar to this. You will need to change a couple of settings and add your ID. Here I have changed the settings to the right ones and added in my xmpp ID. 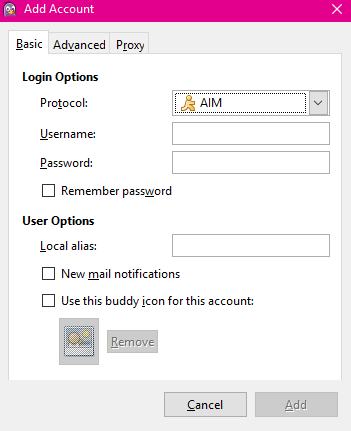 Click on 'Add' and your xmpp account will be set up!